Parenting Through a Jewish Lens had a fabulous event at Hebrew College on March 30— Matzah Matters attracted nearly 70 parents, children, educators and community members. 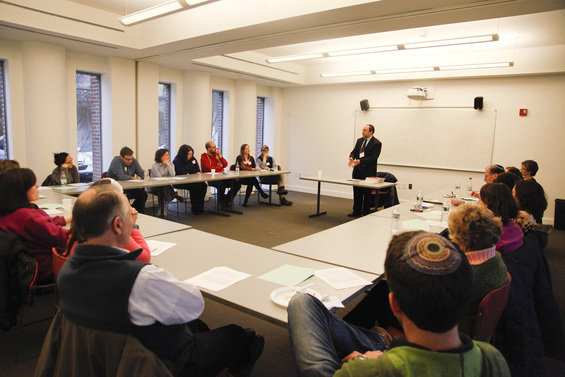 The afternoon included two learning sessions: Rabbi Benjamin Samuels discussed ways to make the Haggadah and the Seder your own, and Elisha Gechter presented various commentators on the Haggadah. I attended Rabbi Samuels’ session. Reflecting on our discussion, two points stayed with me: 1. prepare for and invest in the Passover Seder, and 2. keep everyone at the table.